Confederation with Canada brought with it a great many benefits, but still could not provide the means to overcome an issue that would continue to plague Newfoundland and Labrador to this day. In the 1950s and 60s while the traditional fishery was dying and a new fresh-frozen fishery was emerging, the industry and its people were struggling. The economic benefits of unemployment insurance and the baby bonus may have helped families survive, but even those new found luxuries could not alter the fact that the provincial government could not afford to deliver the same quality of services to rural Newfoundland and Labrador as it could to the rest of the province. This was an issue that became an integral part of Joseph Smallwood’s platform to diversify, industrialize, and modernize the provincial economy. While it had been happening naturally in many parts of the province, a planned form of resettlement took shape during Smallwood’s reign as Newfoundland and Labrador’s first Premier. Three different types of Government-sponsored resettlement programmes took place. The first one, Centralization, was introduced in 1954 and offered voluntary resettlers small sums of money to relocate to larger, more accessible areas of their choosing. As a community-focused venture government required a unanimous vote from all community members to resettle. This programme was plagued with issues and resulted in numerous families moving back to their original communities. Fear mongering and rumors circulated widely and the social consequences were severe. 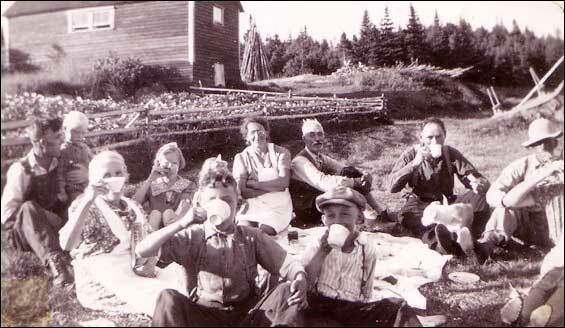 The Budgell and Combden families enjoying a picnic in front of Joseph Budgell's house, Wild Cove, Fogo Island, NL. The community was resettled under the Centralization Programme in the late 1950s and early 1960s. To view other images visit the Maritime History Archive's Wild Cove section of their Resettlement site. Reproduced by permission of the Maritime History Archive (PF-328.021), Memorial University of Newfoundland, St. John's, NL. Ten years after the first programme, a Federal-Provincial partnership was established and the Fisheries Household Resettlement Programme began. Unlike its predecessor, the second programme was clearly tied to the fishery and had slightly different criteria than the first. Under this agreement resettlers were encouraged to move to destinations chosen by Government as growth centres, which were defined as communities believed to be economically viable. The chosen communities usually had fish plants and the area often held heavy investment by both levels of government. This programme also had its share of flaws. The stresses and strains of resettlement caused community and family divides and is still a deeply debated issue. Vessels Invasion and Eileen C. Macdonald at Wareham's wharf in Harbour Buffett. The community was resettled in 1967 under the Fisheries Household Resettlement Programme. To view other images visit the Maritime History Archive's Harbour Buffett section of their Resettlement site. Reproduced by permission of the Maritime History Archive (PF-319.018), Memorial University of Newfoundland, St. John's, NL. In spite of the problems, Government felt the resettlement programmes were fairly successful and the Federal-Provincial partnership was renewed in 1970. Growth centres were replaced with special areas meaning a community in need of funding to enhance regional economic support. More money was allocated for resettlers than in the previous two programmes, but many of the social issues remained the same. A section of the house had been used as a general store. The community was abandoned in 1974. For more information visit the Maritime History Archive's Pass Island section of their Resettlement site. Reproduced by permission of the Maritime History Archive (PF-328.012), Memorial University of Newfoundland, St. John's, NL. 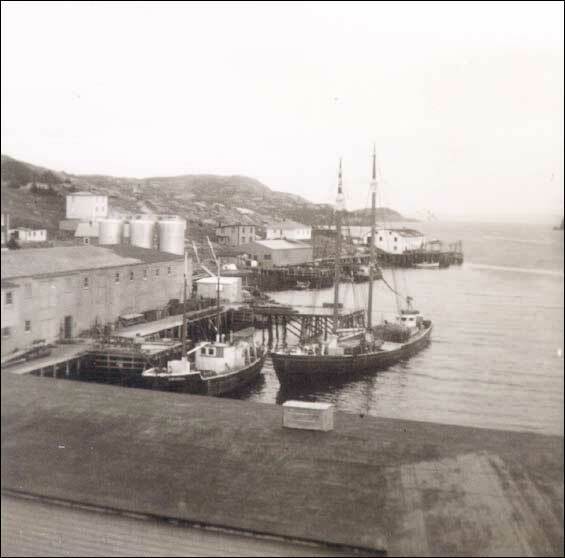 Resettlement was only one component of Smallwood’s plans to modernize Newfoundland and Labrador and establish a higher, yet equitable standard of living for all its residents. The word resettlement continues to evoke strong emotion and its effects on living memory have been great. As a theme resettlement has made its way into Newfoundland and Labrador’s visual and performing arts, our literature and music. It is difficult to weigh out the benefits of resettlement versus the trauma associated with such an uprooting of people. The government of the day saw resettlement as advancing towards modernization. 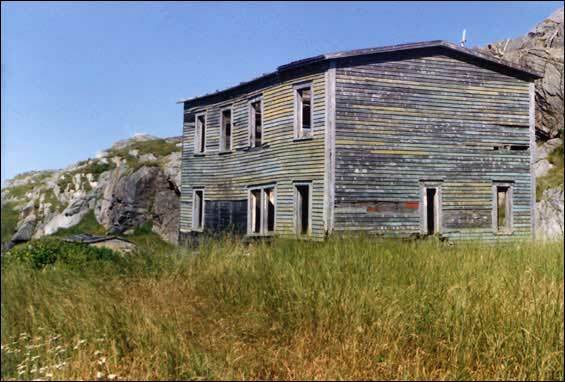 Some resettlers see it is as a shameful part of Newfoundland and Labrador’s history. Resettlement will go down in Newfoundland and Labrador’s history as one of the most controversial issues forever divided between two viewpoints. Updated with the addition of the Resettlement video May 2017. Images in the article added June, 2017.